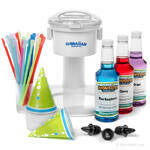 You can create delicious, authentic shaved ice at your next party and all you�ll have to add is the ice! 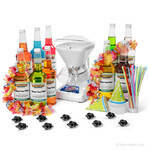 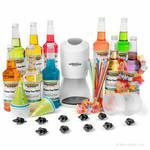 This Hawaiian Shaved Ice Party Package from HawaiianShavedIce.com includes all of the supplies and serving tools you�ll need to make shaved ice just like they serve at carnivals and county fairs. 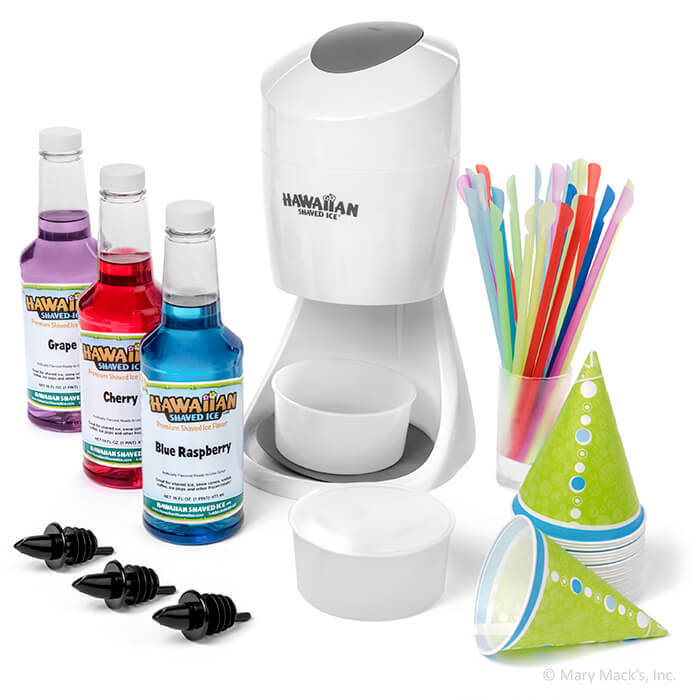 Shaved ice is a refreshing treat that your guests are sure to love, and you�ll be the only one who knows how easy it was to make! 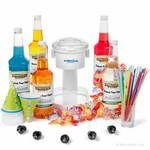 This all-inclusive snow cone kit comes with HawaiianShavedIce.com�s S900A Shaved Ice Machine, which produces soft, fluffy shaved ice from round blocks of molded ice. 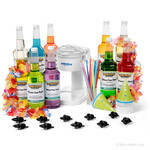 Two ice molds are even included with the kit to make stocking up on ice a breeze. 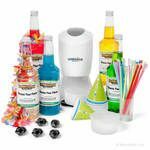 For serving, the Hawaiian Shaved Ice Party Package contains 1-pint bottles of cherry, blue raspberry and grape syrups, 25 spoon straws, 25 snow cone cups and 3 bottle pourers. 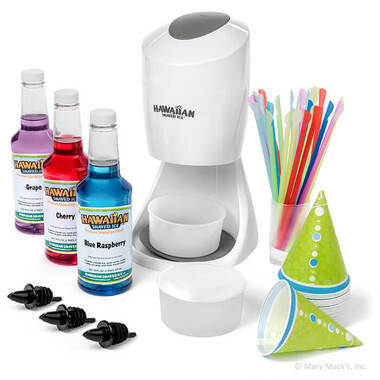 If you want a professional-looking shaved ice setup without spending a fortune, this convenient kit is a perfect choice.